Choose below options to perform in each directory. 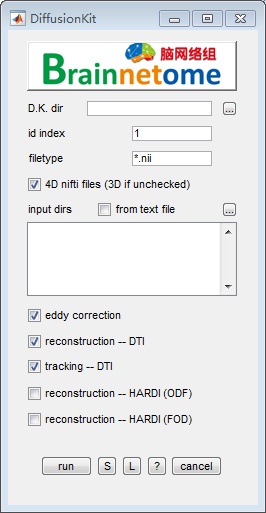 Results will be saved in each input directory. Sangma Xie, Liangfu Chen, Nianming Zuo and Tianzi Jiang. DiffusionKit: A Light One-Stop Solution for Diffusion MRI Data Analysis. Journal of Neuroscience Methods. vol. 273, pp. 107-119, 2016.